Are you aware of why things happen to us, the way that they do? There is a purposeful reason for all of the circumstances that life brings to us. Mindfulness and awareness come to those who are open to accepting change. Listening to the whispers from the Soul will provide you with the answers to your questions of ‘why’! We are all Sentient Beings, here to grow, learn, advance and elevate our conscious energy in this life experience. You are responsible for this goal, no one else can do your Soul work for you. When we come into this life experience, we are provided with a tool box. In this tool box is a mastery of spiritual equipment, everything you need to help you on your journey to conscious awareness. 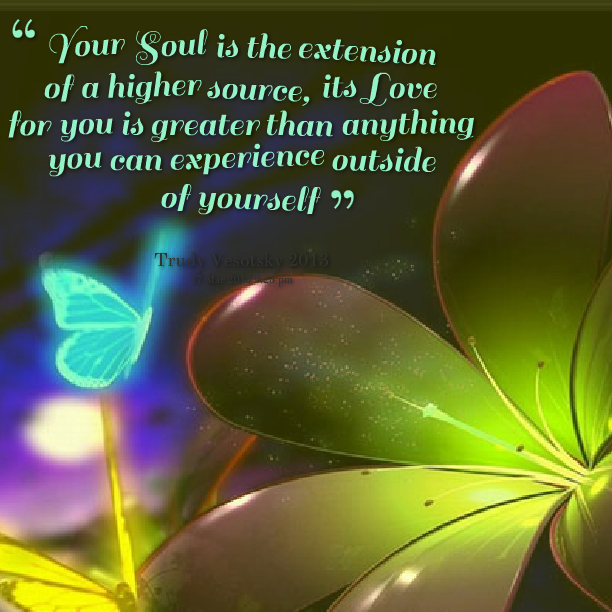 Achieving soul conscious represents an ‘awareness’ that has evolved over the course of our life this far. This awareness has been nurtured by all of the experiences that we have been a witness to and a participant in – in our personal life. The many challenges, obstacles, and boulders that we have climbed, each of these experiences, good or bad have allowed our soul to elevate through the learning. What we have gained from everything that has come our way, is wisdom. Wisdom allows us to evolve and therefore become more conscious. As we grow and our energy expands, we become more in touch with our souls voice and our ego noise therefore becomes less loud. The key to becoming soul conscious, is to become aware of the voice within us. There are two ways in which we listen to ourselves. One voice is very loud, and that is the noise we hear in our head. Sometimes it becomes so annoying it can actually effect our physical body, making us feel unwell. The other sensation that is there for us to feel is our Soul. The voice of our soul is never loud, and never makes us feel bad. These gentle whispers most often allow us to feel peaceful. We must be awake enough to feel our souls intention. What is it our soul is trying to tell us? The annoying noises from the ego, we must learn how to quiet them. Yoga, meditation or being in nature are helpful ways to bring peace of mind. If you are restless and feeling impatient with life, then it may be in fact time for you to ‘wake up’ to the whispering. Open your eyes to the opportunities that await you. Everything you desire is out there for you to behold. Work on your courage, and make a commitment to yourself. At some point, this life is meant to be about ‘you’, this is not selfishness, only your Souls desire for you to practise self-love.